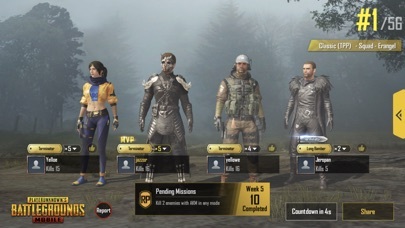 PUBG MOBILE - App - App Rediscovered! 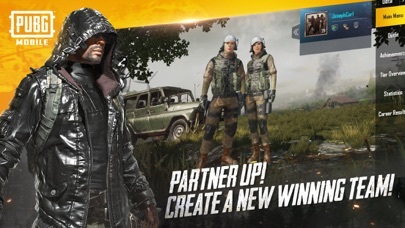 The official mobile version of PlayerUnknown's Battlegrounds is here! - The official mobile version is a perfect replication the PC experience. Will you survive until the end in the 100-player classic mode? 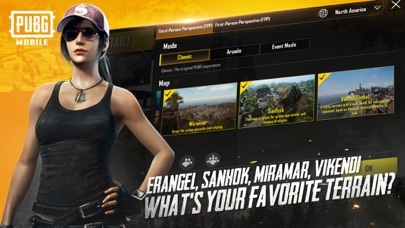 - From Erangel to Miramar, Vikendi to Sanhok, play in these enormous and detailed maps with day/night cycles and dynamic weather. - Striking and realistic visuals, as well as 3D sound effects over 7.1 channel audio. Also comes with high-fidelity real-time voice chat. - Pick your favorite weapon from dozens of options and attachments, then be amazed at the realistic ballistics and weapon behavior as you fight till the end. And don't forget about the pan! - Choose between the standard Third Person Perspective or the more immersive First Person Perspective. - Lots of vehicles for all the different terrains in the game. Find your perfect ride and cruise towards the final circle! - A large variety of game modes that deliver a different feel than the classic mode for those that want fast-paced games! And how about them zombies? 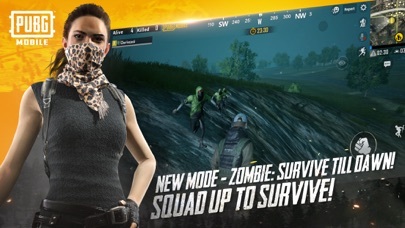 - Solo, Duo, Squad - you're just one tap away from players around the world! - Powerful anti-cheating mechanisms ensure a fair and balanced gaming environment. This is not a game. This is a fight for survival. * Requires a stable internet connection. 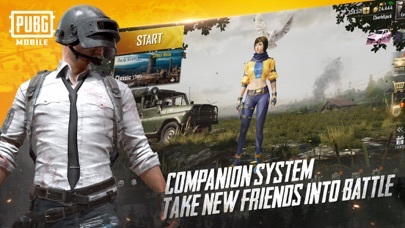 * PUBG MOBILE recommended system requirements: iPhone 6s or above and iOS 9 or above. 1. Funds will be deducted from your iTunes account once confirmed. The subscription price is US$0.99, renewed every month. 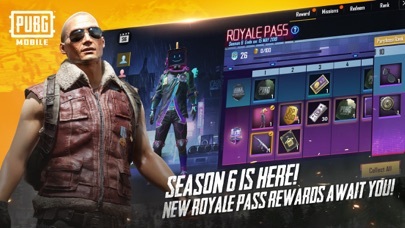 PUBGM Prime subscribers may collect 5UC per day and can use BP to buy certain items in the shop. 2. Only 1 subscription may be active at any time. Once you subscribe, US$0.99 will be automatically deducted from your iTunes account 24 hours before your current subscription ends, and your subscription will be renewed for one month, unless you cancel it at least 24 hours before the end of your current subscription. 1. Funds will be deducted from your iTunes account once confirmed. The subscription price is US$4.99 (first-time discount; subsequent price is US$9.99), renewed every month. 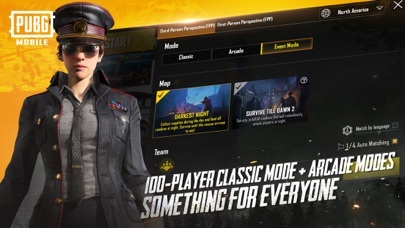 PUBGM PrimePlus subscribers may collect 20UC per day and can use BP to buy certain items in the shop. 2. Only 1 subscription may be active at any time. Once you subscribe, US$9.99 will be automatically deducted from your iTunes account 24 hours before your current subscription ends, and your subscription will be renewed for one month, unless you cancel it at least 24 hours before the end of your current subscription. To cancel your subscription, go to Settings-iTunes and App Store-View Apple ID to go to your account subscription settings and manage or cancel your subscriptions. Please contact our customer service at PUBGMOBILE_CS@tencentgames.com if you have any questions. So many hackers in the game ! This game is fun and all but you guys have to fix some bugs on ios everytime i get in a vehicle it freezes, and now i dont even have to get in a car it freezes by its own and i keep getting killed because of that please fix your game. Thanks!